Very nice dog plush pink, elegant, feminine, with a knot on each ear. 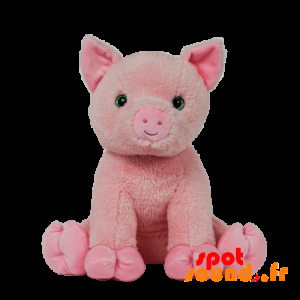 Sweet, this pretty pink dog will easily find the place on the bed of your child or in your home. For a child, a toy is a gift that follows for many years, so do not hesitate. 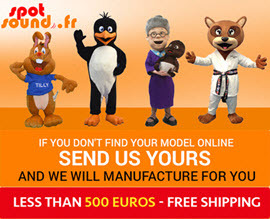 All soft toys are custom-made, do not forget to specify the desired size. 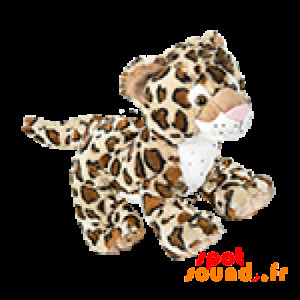 Beautiful leopard, tiger plush, brown in color, with stains on the body. Sweet and quality, this beautiful leopard stuffed with something for everyone. Perfect for a collection, a parent, a child ... you can add one or more accessories to customize it at will! Also choose the dimensions for a single stuffed in your image! 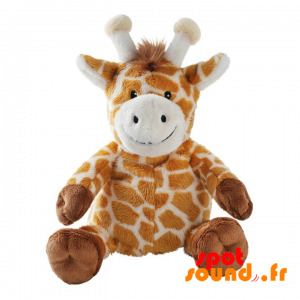 Touching, soft and very realistic, with her pretty smile and beautiful colors, this giraffe plush mark the spirits. For a birth, a birthday or to celebrate an event, this giraffe is sure to please. Feel free to add an accessory for even more fun! quality fabric, very pleasant to the touch! 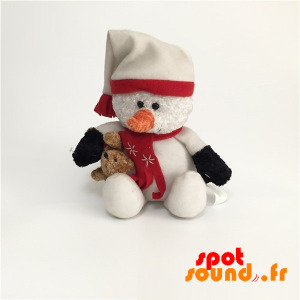 Wide range of soft toys on our site Spotsound. 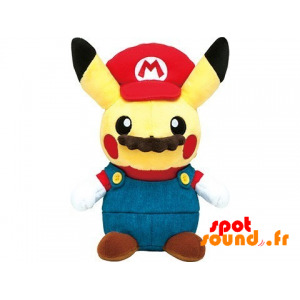 Very fun, pretty and colorful, this plush Pikachu Pokemon famous yellow disguised as Mario, famous plumber video game, will not go unnoticed. For a fan of video games or to make a nod to a friend, Pikachu plush, very original is stuffed you. Buy her an outfit or choose the dimensions for even more fun! Very entertaining, pretty and colorful, this plush Pikachu Pokemon famous yellow disguised as famous plumber Luigi video game, will not go unnoticed. For a fan of video games or to make a nod to a friend, Pikachu stuffed with overalls, a mustache and a cap, is stuffed you. Buy her an accessory or choose the size! 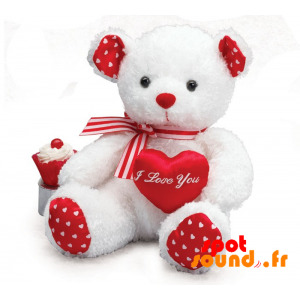 For a birth, a wedding, Valentine's Day or just for you or your child, this wonderful teddy bear is perfect. Very nice romantic stuffed with a red bow around the neck, you can embellish according to your desires with our range of plush accessories. 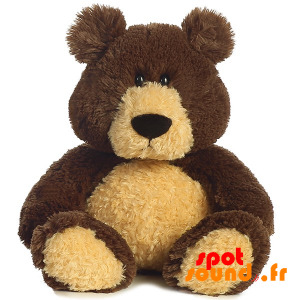 Treat yourself to this nice teddy bear, you will not regret it! 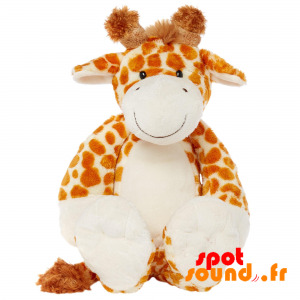 Cute, fun and very successful, with her pretty smile and beautiful colors, this giraffe plush mark the spirits. For a birth, a birthday or to celebrate an event, this giraffe is sure to please. Feel free to add an accessory for even more fun! quality fabric, very pleasant to the touch! 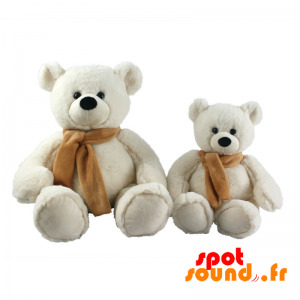 Large plush range on our site Spotsound. 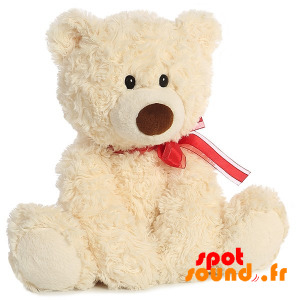 To celebrate a birthday, a birth, for Valentine's Day or just for your child, this beautiful teddy is perfect. 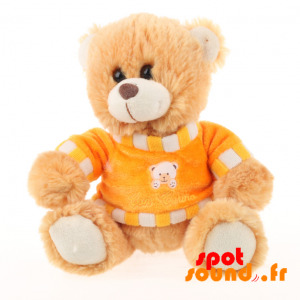 Very nice romantic stuffed with an orange sweater, you can embellish according to your desires with our range of plush accessories. Treat yourself to this lovely teddy, satisfaction guaranteed! In a declaration of love, a wedding, get a message, or to complete a collection, or mark an event, give this pretty owl plush. With his purple heart and his message of love, you will score the minds for sure! Take a look at our accessories for even more fun and choose the size you want! 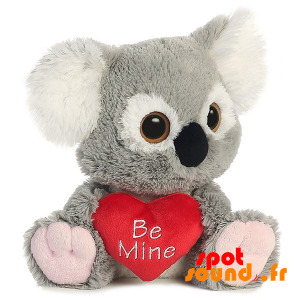 To declare your love for a wedding, get a message, or to complete a collection, or mark an event, give this pretty gray koala bear. With its red heart "Be mine", it will charm everyone! Take a look at our accessories for even more fun and choose the size you want! Soft fabric and quality! 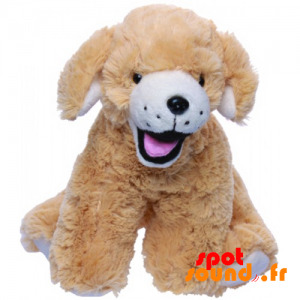 Soft, tender and attractive, this stuffed dog held company for your child. Your little sprouts found in stuffed dog, a playmate with whom he will live great adventures. His round face and very soft fabric will make him the perfect plush. With his small black eyes and coat quality, this plush will be irresistible! This blanket represents a gray hippo will make a great gift of birth. He will become the favorite companion for your child that will bring with him everywhere. Its very soft texture and touching air gives it even more charm. Add one or more accessories for a unique and plush feel free to ask the dimensions you desire! This adorable cuddly elephant is extremely soft. 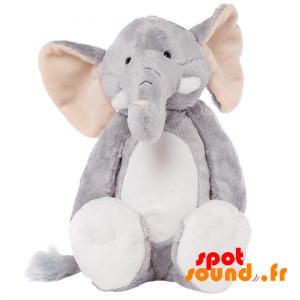 Gray, white and beige, cute and friendly, this stuffed elephant will be appreciated by its softness. 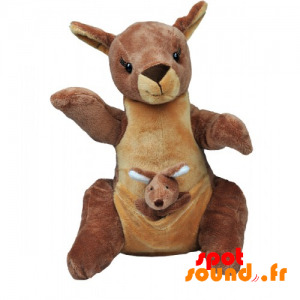 Baby will love the catch by his trunk and grab him by the ears. It will be an ideal birth gift. 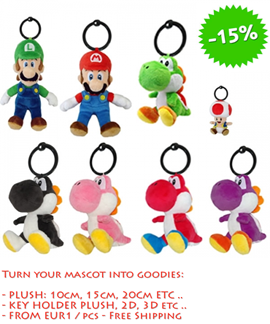 Choose dimensions for custom plush and add her accessories range to mark the occasion! Give or make offer this wonderful plush Pikachu Pokemon Yellow famous cartoon. 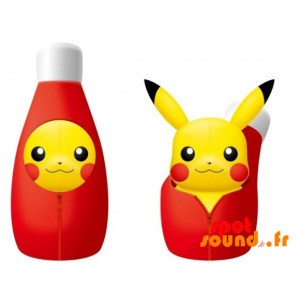 Presented in a bottle of Ketchup removable with a zipper, he surprise you with its originality! Choose size! This Pokemon will be made to measure from passing your order. Feel free to look at the accessories available for even more fun! To celebrate a great event, a retirement, a birthday, for Valentine's Day or just for your child, this beautiful teddy is perfect! Very nice silky soft plush for a very pleasant touch, you can embellish according to your desires with our range of plush accessories. Treat yourself to this lovely teddy, satisfaction guaranteed! 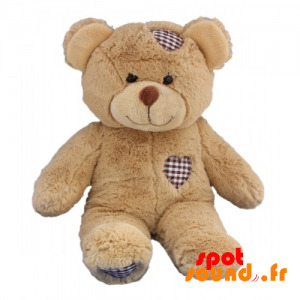 To celebrate a happy event or a romantic event, or just for you or your child, this wonderful teddy bear is perfect. 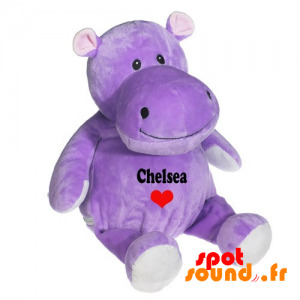 Very nice romantic stuffed with a red heart "I love you" and little hearts on the ears and paws. You can embellish with our range of accessories for teddy. custom plush! 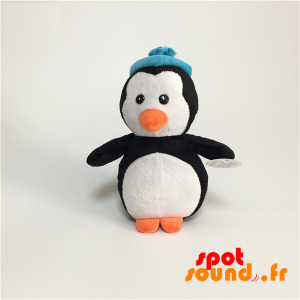 To celebrate an event or for winter holidays or to give to your child, this beautiful stuffed penguin, black and white with a blue cap, give the best effect to your interior. 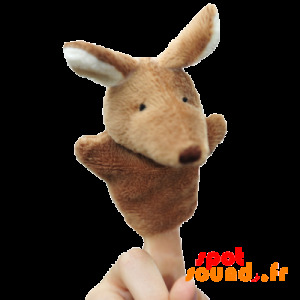 Very original and friendly, this toy will delight young and larger. The dimensions and the holding are customizable. quality fabric, machine washable. 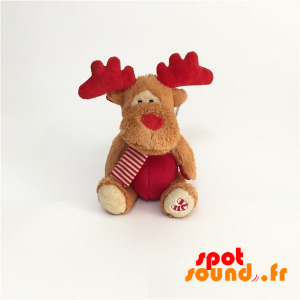 To decorate the Christmas tree or your home or for a nice Christmas present, this reindeer Santa Claus in brown and red plush will be perfect for the enjoyment of young and old. Very successful and made with quality fabrics will be immediately embraced by the younger! Check out the plush accessories offered below. Machine washable. For the holidays of years to offer or for beautiful homes, this teddy bear wearing a cap and a Santa's outfit will be a hit! Guaranteed effect. If you want to adjust her outfit each season, please watch accessories for teddy proposed below. 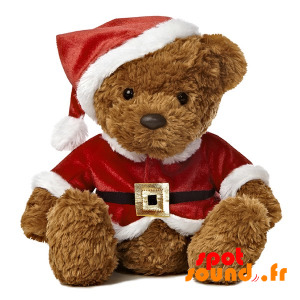 This teddy bear charm children can have fun to dress as he pleases! This blanket represents a purple hippo will make a great gift of birth. He will become the favorite companion for your child that will bring with him everywhere. Its very soft texture and touching air gives it even more charm. Add one or more accessories for a unique and plush feel free to ask the dimensions you desire! 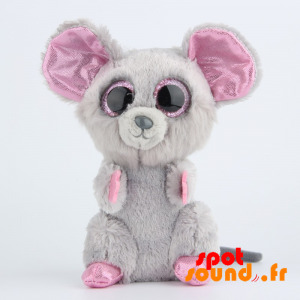 With its beautiful captivating eyes, her pretty gray ears and sequined hair soft, stuffed mouse that will not go unnoticed! Your child will not be able to separate them. Add him an outfit or accessories for even more fun, and choose its size. quality plush machine washable. Sent quickly and thoroughly after manufacture in our workshops! Very nice plush pink octopus making a wink, elegant, feminine, with a knot on the head. Sweet, this pretty octopus easily find the place on the bed of your child or in your home. For a child, a toy is a gift after the many years he played with the lead throughout. And for parents and friends, what a surprise to receive a teddy! 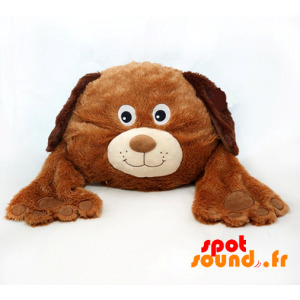 Pleasant to the touch, soft and attractive, this brown stuffed dog held company for your child. Your little sprouts found in stuffed dog, a playmate with whom he will live great adventures. Fabric softness and realism make him the ideal plush. With his small black eyes and coat quality, this plush will be irresistible! 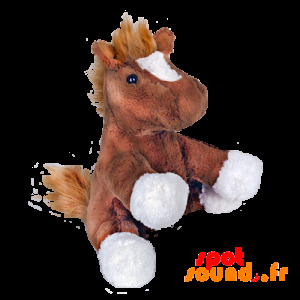 With its beautiful colors and beautiful mane this horse very successful toy will fit both a gift for decorating an equestrian center, a child's room or a window. Foal Teddy, whose size will fit your needs, then do not hesitate. Sumptuous soft, it is perfect for all conditions. Machine washable. To get a message for a gift for a colleague, friend or an event to celebrate, this pig stuffed pink should please any occasion. With her beautiful green eyes and touching air, everyone will fall under its spell! 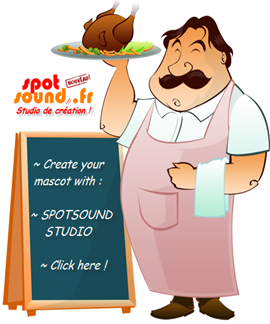 Do not hesitate to consult our accessories or specify the size of the bear, we confectionnerons's for you, measure! For a wedding gift for Valentine's Day, to celebrate a birth or just to you or your child, this wonderful brown teddy bear is perfect. 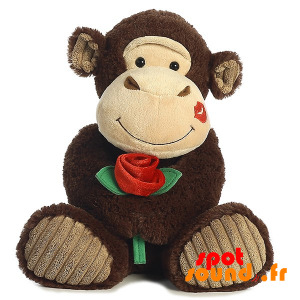 Very nice romantic stuffed with hearts sewn on the heart and the head, which you can embellish according to your desires with our range of plush accessories. 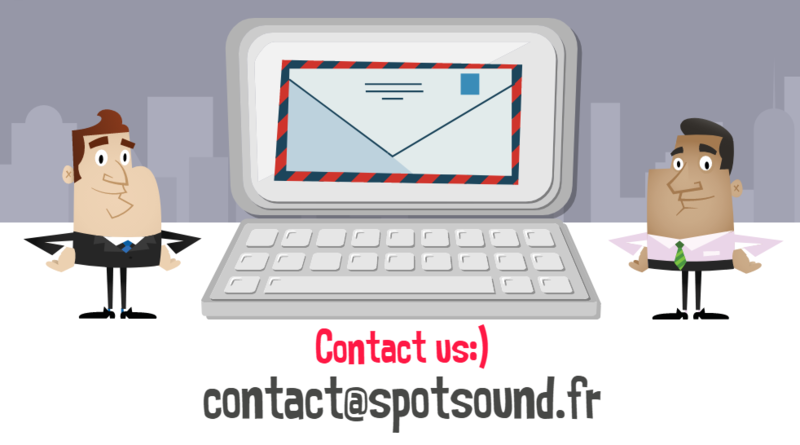 Sent quickly! To offer for Valentine's Day, to celebrate a birth or a retirement or just for you or your child, this wonderful blue teddy bear is perfect. Very nice romantic stuffed with pink nose and two hearts sewn to the head and heart. You can embellish according to your desires with our range of plush accessories. 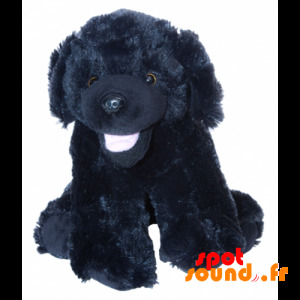 Pleasant to the touch, friendly and endearing, this dog plush black company will hold your child. Your little sprouts found in stuffed dog, a playmate with whom he will live great adventures. Fabric softness and realism make him the ideal plush. With her little brown eyes and coat quality, this plush will be irresistible! Beautiful plush, very realistic, soft and bewitching orange and white fox. 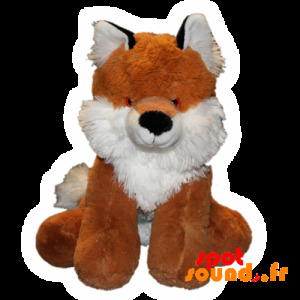 With his shaggy fluff, beautiful colors and red eyes, very exciting, this fox plush will delight children and larger. Personalize with accessories and have the size you want, it will be custom tailored for you and with our greatest care! Machine washable. Very nice raccoon plush tricolor. 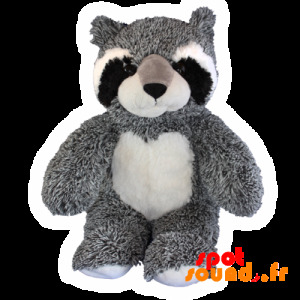 Very soft and well designed, this pretty black raccoon raccoon, white and gray easily find the place on the bed of your child or in your home. For a child, a toy is a gift after the many years he played with the lead throughout. 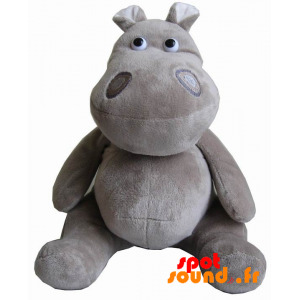 Our stuffed animals are made to measure, do not forget to specify the desired size. 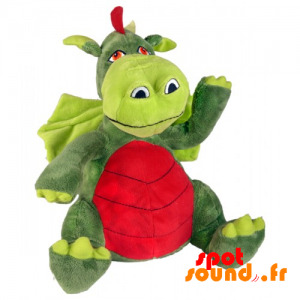 Very entertaining and pleasant to the touch, this green dragon and red plush will please everyone, children and adults. To complete a collection to delight your kids, or just to offer, stuffed dragon will please all occasions. Plush custom-made, size of your choice. Personalize it with an outfit for even more fun!